Styleshop is an multipurpose eCommerce themes is especially designed for style shop, baby store, interior store, mobile store. 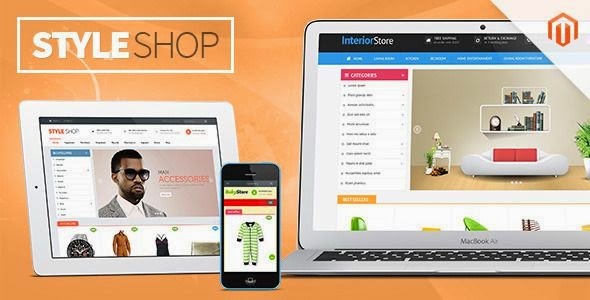 Styleshop meets all modern web design standards & the latest usability requirement that allow you to create and configure multi store, multi theme, multi languages at ease. Built on powerful Venus Framework 2.0 and Bootstrap 3.0, Styleshop is both fully responsive and highly tailored for any heavy Magento store. Coming with quick start package needed for better installation and live theme editor, the theme design can be easily personalized to meet your expectation. Item Reviewed: Styleshop Multipurpose Responsive Magento Theme 2015 9 out of 10 based on 10 ratings. 9 user reviews.